With a slate of candidates that looks more like a reality show cast than a ballot, we figured tonight's debate could be fun to live blog. Of course, there was only one way to find out. Live blogging after the jump. 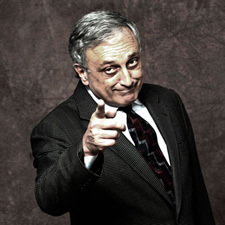 Paladino: I don't want children "brainwashed into thinking that homosexuality is an equally valid or successful option"
Speaking in Brooklyn Sunday Carl Paladino said: "... I don't want [children] brainwashed into thinking that homosexuality is an equally valid and successful option -- it isn't." I didn't march in a gay pride parade this year. My opponent did. And that's not the example we should be showing our children -- and certainly not in their schools. And don't misquote me as wanting to hurt homosexual people in any way. That would be a dastardly lie. My approach is live and let live. I just think my children -- and your children -- would be much better off, and much more successful, getting married and raising a family. And I don't want them to be brainwashed into thinking that homosexuality is an equally valid or successful option -- it isn't. Young children shouldn't be exposed to this at a young age. They don't understand this. It's a very difficult thing. And exposing them to homosexuality -- especially at a gay pride parade, and I don't know if you've ever been to one, but they wear these little Speedos and they grind against each other, it's just a terrible thing. Paladino has said he's not a politician. 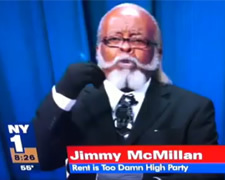 And unlike a politician, he does seem willing to say whatever's on his mind. The problem is... that's what's on his mind. In a chat with Capital New York today, Azi Paybarah noted that Paladino's propensity to say something stuff like this has actually led to more reporters covering him than Andrew Cuomo recently. 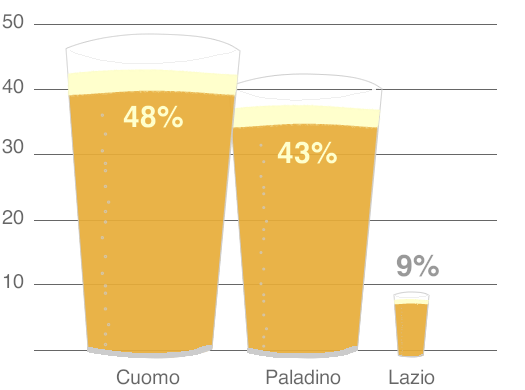 The FiveThirtyEight poling model is currently predicting Cuomo has a 98.9 percent chance of winning the governor's race. There's better quality video of the spat from CBS6 embedded after the jump. WNY Media -- a news site in the Buffalo area -- has posted on a bunch of emails reportedly sent by Carl Paladino (the site seems to be getting slammed with traffic right now). Many of the messages are forwards. And they contain some nasty stuff: racist jokes, a woman and a horse, uh, you know. "Dramatically unsafe for work" is the way WNY Media describes them. With Carl Paladino seemingly basing his campaign for governor on this clip from Network, we figured it would make for interesting viewing this morning. It should be noted that Network is a dark satire and the Howard Beale character (the one who yells "I'm as mad as hell! I'm not going to take this anymore!") is literally crazy. By the way: If you haven't seen Network, you should definitely watch it. It's a fantastic film. It won four Oscars. Also: After the jump, Warren Redlich's video on why he's not qualified for higher office. 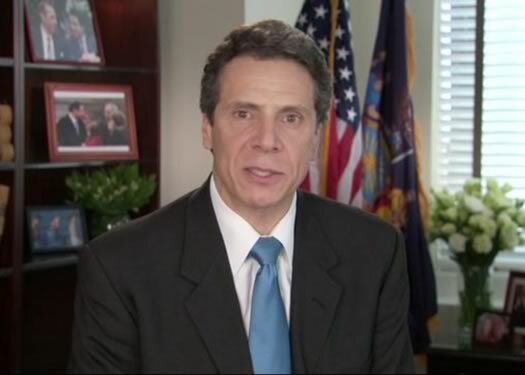 The Guilderland resident has set up a long-shot bid for governor. 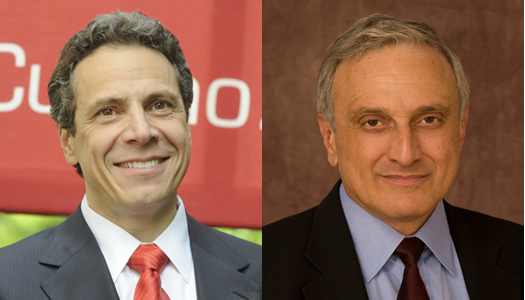 Update September 15: Paladino has won the Republican nomination for governor. Carl Paladino is expected to toss his hat in the ring for governor of New York today. 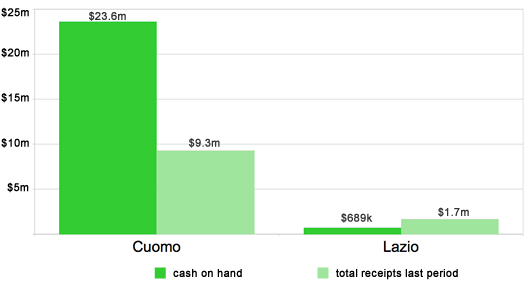 When talking about Paladino, though, "toss" is probably not the right word -- "jam" or "shove" might be more fitting.